Grew Up… dancing. Nina Sayers has wanted to be a dancer ever since she was a small child. Luckily, growing up in New York City, home to the best ballet companies in the U.S., put her in a good position. Relationship Status… none. Nina, who has always been dedicated to dance, doesn’t have time for a boyfriend, or even a social life. (But the company director, Thomas Leroy, has his lustful eyes on her.) The only person in Nina’s life is her mother, who has sacrificed so much of her own life in order to further her daughter’s career. Personality… childlike, insecure, and psychologically disturbed. The pressure of being the Swan Queen has been affecting Nina’s behavior, and her perfectionism is starting to take a noticeable toll on her mental health. Nina Sayer's popularity ranking on CharacTour is #367 out of 5,000+ characters. See our top-ranked characters and read their profiles. 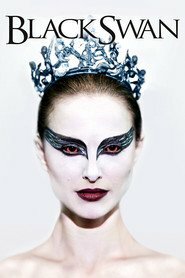 A ballet dancer wins the lead in "Swan Lake" and is perfect for the role of the delicate White Swan - Princess Odette - but slowly loses her mind as she becomes more and more like Odile, the Black Swan.